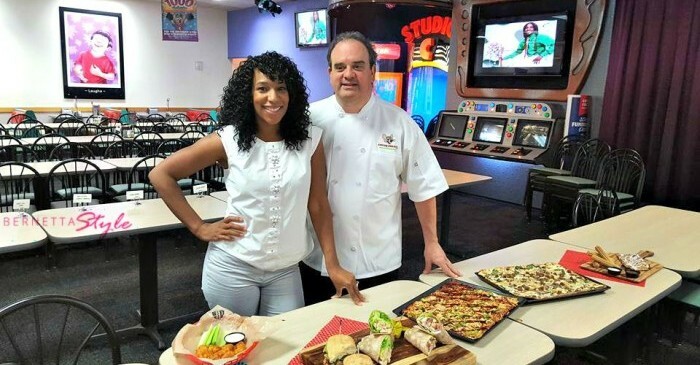 Chuck E. Cheese New Menu Created Just for Parents! My children love this place as most children do, but do you know the real reason? Mine would probably say the games! Every time we go, its all about the tokens, games and prizes. Food is usually the last thing on their mind, but as a parent can you say the same thing? 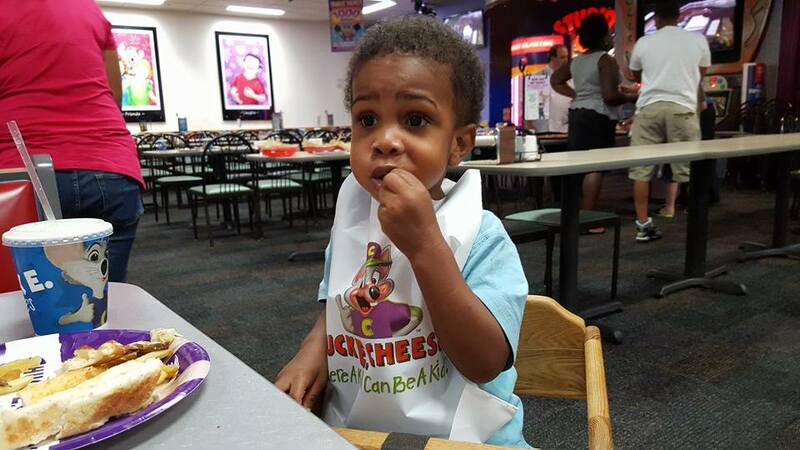 As a parent who takes her children to Chuck E. Cheese for birthday parties, and sometimes Saturday afternoon fun – eating there has never crossed my mind as something to look forward to. I know about their salad buffet and pizza, although I’ve tasted both items and although it was good – it wasn’t memorable. That all changed last week for me! I was one lucky girl when my entire family accepted an invitation to taste new menu items. I honestly thought it would be 1 or 2 new things, but I was so wrong. As a business they know that although, it’s a kids play heaven – the parents are the ones who bring them there. Parents were looking for more! This new menu is designed for parents!! I loved their new items! I sincerely loved the new Cali Alfredo the best! 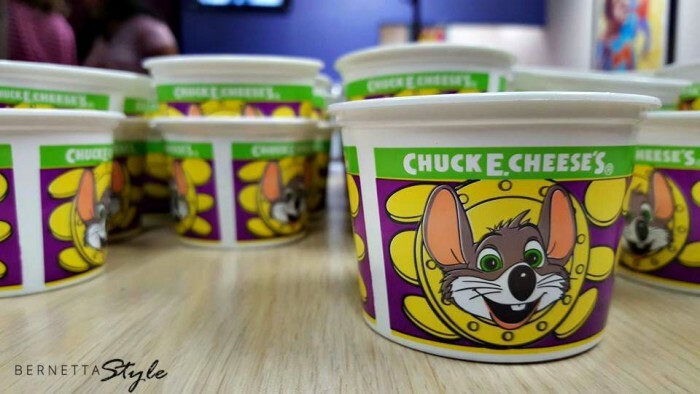 I could order this every time I go to Chuck E. Cheese now. 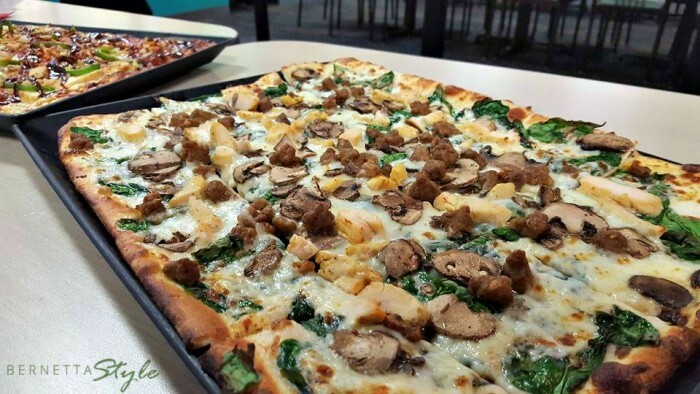 New Pizza: Thin & Crispy option is now available for any pizza! Dessert: Dessert churros served with salted caramel and white chocolate icing & improved Cinnamon Sticks are now stuffed with more cinnamon crunch and topped with white chocolate icing. I went back for seconds, thirds and shhhhhh but fourths! My children enjoyed the BBQ Pizza, Churros, Cinnamon Sticks but then went back to old faithful, Pepperoni Pizza! They ate so quickly, I had to make sure I got in a quick survey of their favorites before they ran off to play games! Then it hit me again … this menu is for me and my husband anyway! So we sat at the table, along with our 2 year old and fixed us another plate. My husband enjoyed the BBQ Boneless sweet chili boneless wings, BBQ Pizza and Cali Alfredo! 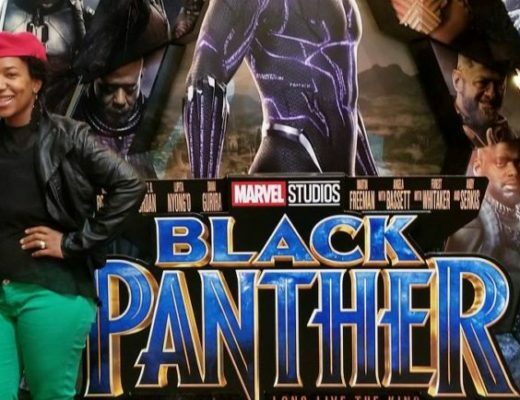 It makes your experience better when you as a parent can enjoy the same atmosphere that was originally created for your children. 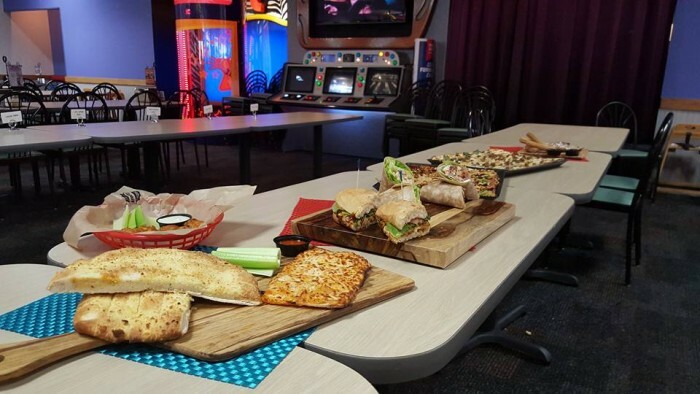 I enjoyed their new items so much, I can see myself going to Chuck E. Cheese alone – just for that Cali Alfredo! 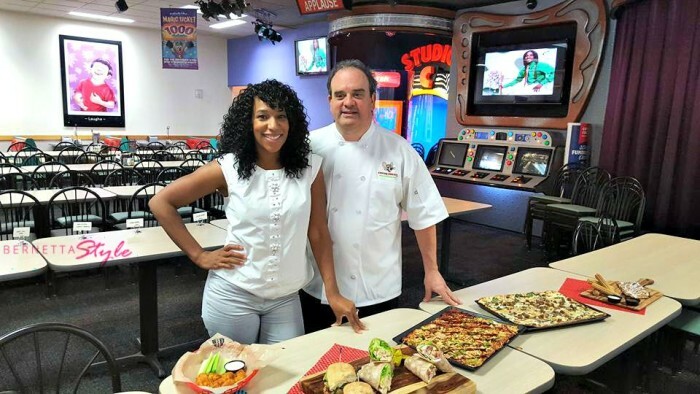 The new menu is now at 545 Chuck E. Cheese locations and was created by their Corporate Chef Gregory Casale. There were other wonderful moms and their children tasting the new menu, so follow their story & experiences at the hashtag #CECAtlanta on Instagram & Twitter. 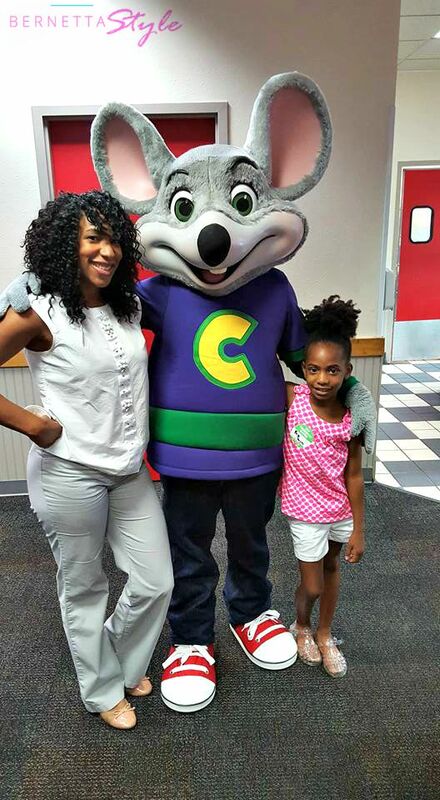 Follow Chuck E. Cheese on their social media channels too: FB, Twitter & IG. 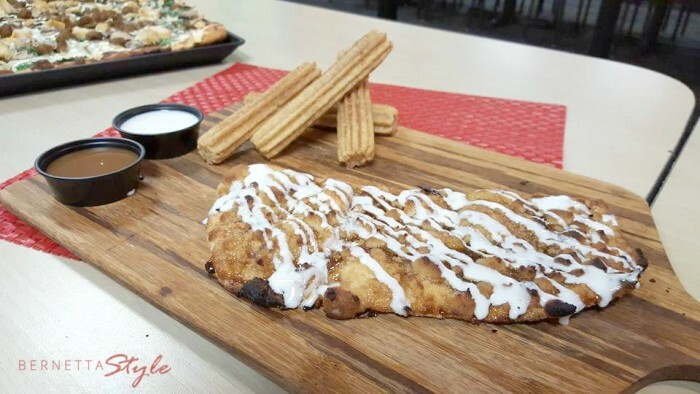 This new menu has been around for a little while, have you been able to try it out yet? I’d love to know your favorite new item! The Aquanaut Adventure, Perfect Stop for Winter Break! As a kid I was obsessed with this place! But now..not so much. But glad that the next time the boy drags us there, there will be something for ME to eat!